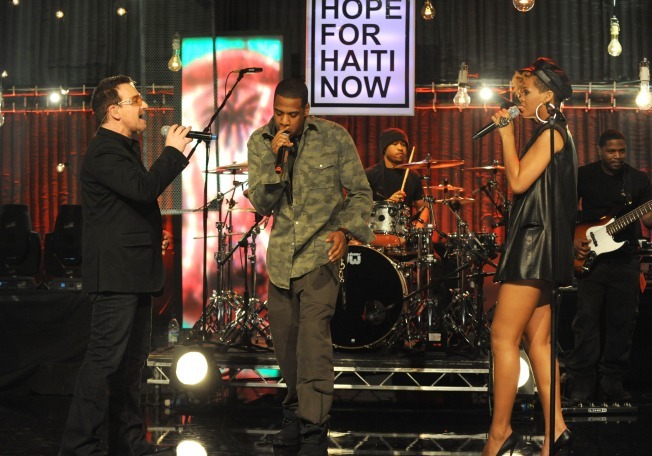 The all-star "Hope for Haiti Now" album has debuted at No. 1 on the Billboard 200 chart, making it the first digital-only album to hit the top spot. Nielsen SoundScan says the compilation of performances from last week's charity telethon sold 171,000 units over the weekend. The release features performances by U2, Beyonce and Madonna, among others. More than 80 million people tuned in for Friday's telethon, which organizers have said raised $57 million. The event, which also streamed live online, featured appearances by former President Clinton, Muhammad Ali, Brad Pitt and other stars who encouraged donations for Haiti, hit by a devastating Jan. 12 earthquake.